Nozohaem® is a unique, gel treatment for nosebleeds that stops the bleeding in moments. Available from all good chemists without prescription, Nozohaem is safe, simple and quick to self-administer. Once the bleeding has stopped, the gel just dries away leaving no unpleasant taste. Nozohaem can be used to stop nosebleeds anywhere, anytime, whatever the cause — trauma or stress. Without mess or bother — from nosebleed to no bleed in moments! 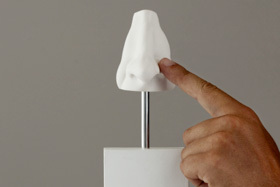 Clear the nose from blood and blood clots then lightly squeeze the nose at the top. Place the tip of the Nozohaem tube into the nostril and squeeze the gel in until the flow of blood stops. Sometimes a second tube may be necessary. 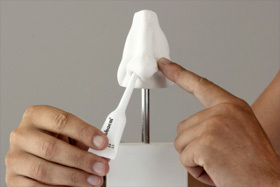 Wipe away any excess and allow the gel to remain in the nose for 30 minutes. It will dry up and gradually disappear by itself. ® Nozohaem is a registered trademark of Pharmacure Health Care International AB.